We applied for an award! After our record breaking year with over 500 innovators, we thought, hey, maybe we are award-worthy?! 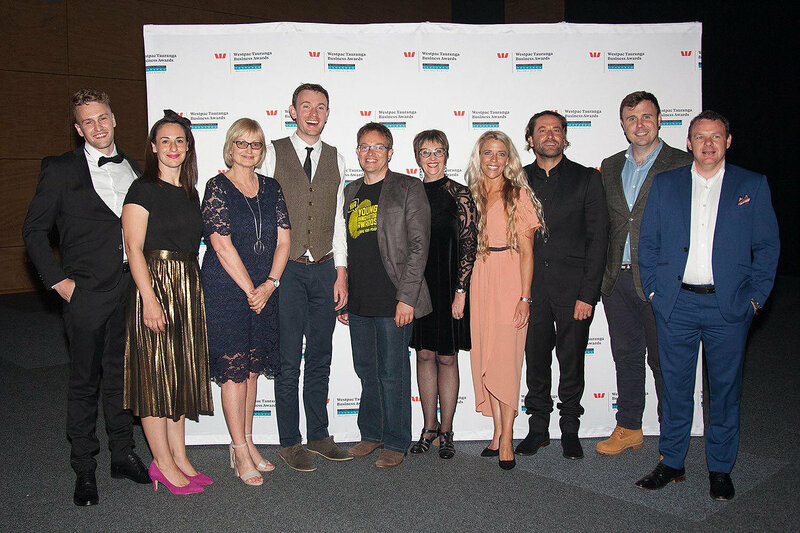 The Westpac NZ Tauranga Business Awards recognises and celebrates local businesses in the Bay leading the way in excellence, innovation and success. We went through a rigorous application process plus three interviews, but it all paid off on awards night. While we didn’t take home the top prize, (congrats Paper Plane – well deserved!) 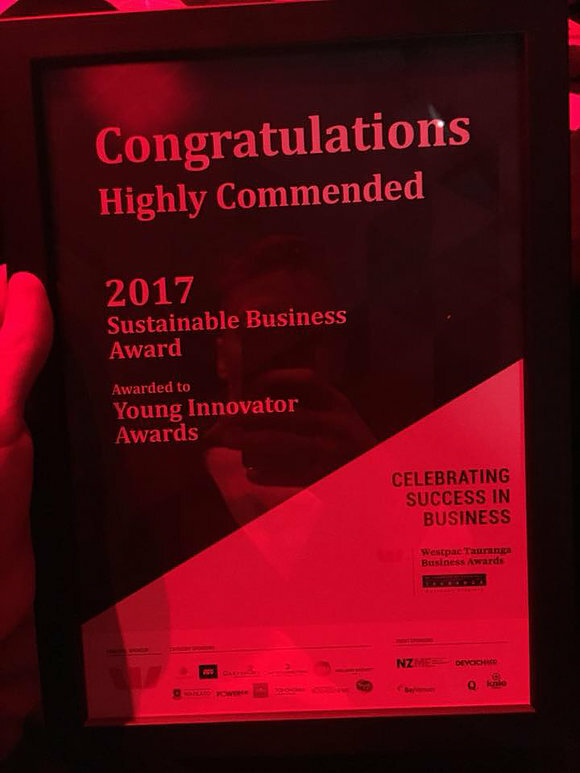 we were so thrilled to come away with a “Highly Commended” in the Sustainability category. We were also finalists in Innovation and Social Enterprise. We’re proud of this result in our first ever year entering. Ten members of the YiA team got all dolled up, headed down to ASB arena and enjoyed a great night among our peers. We’re so inspired by the other innovative businesses and social enterprises in our community. HUGE thanks to Priority One Instep, WOODS and Bluelab for their amazing support in helping us create tomorrow innovators.